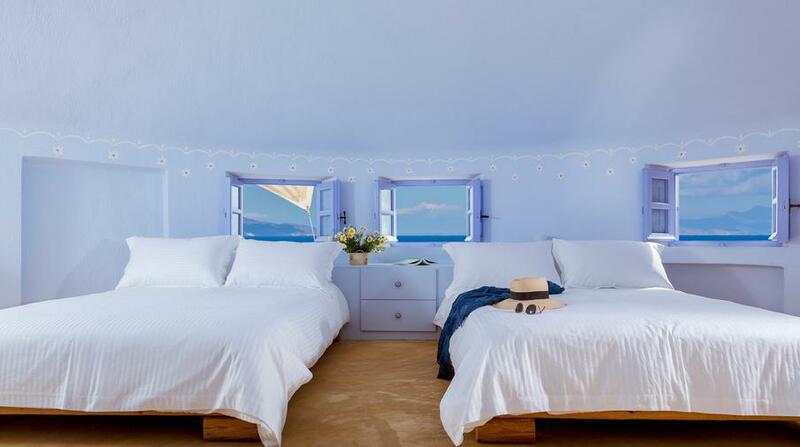 The owner and his family have built one of the most original place to stay in the world! The windmills are one of the most romantic place on earth to spend a fantastic vacation. His sister's welcome lunch was delicious and we felt immediately at home. We loved Santorini! What a crazy island, we realized only on site that it's a giant sleeping volcano!!! Terrifying and terrific :) Best places for us: The Restaurant on the black beach, and beach club eros beach, delicious food! In Oia best restaurant Roka, hidden, impossible to find without his kind help! Rent a quad! Soooooo funny, 300cc, powerful. A warm hug from Sardinia Italy, we are back at work in the lighthouse now! Thank you forever. A memorable stay in a unique miracle of architecture. In a peaceful location, just 10 minutes far from the center of the island, by car. Me and my fiance enjoyed very much the private pool and the privacy of the property. Great garden with flower and great service and hospitality by the owners. We definitely will be back again in the future. Thank you again for allowing us to stay at your beautiful windmill home. The home was so charming and the pool and view were perfect! It is a peaceful area and a short drive to everything we wanted to do on the island. 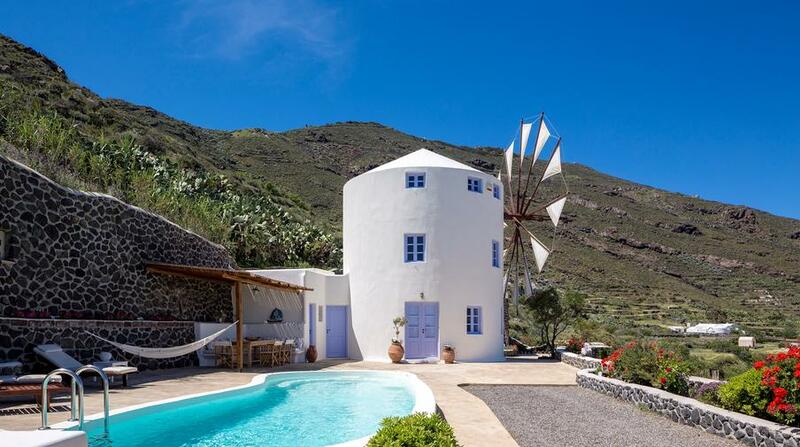 Just got back from a fantastic holiday at the windmill villa Ii Santorini. The owners were very welcoming and helpful, and could not do enough for us to ensure everything was to the highest standard. 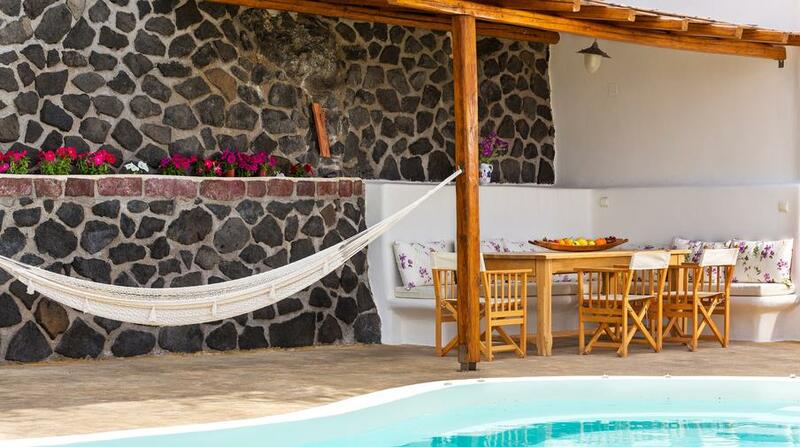 The villa was always kept spotless and it was a pleasure to have clean towels provided every day along with breakfast at the side of the lovely pool area. 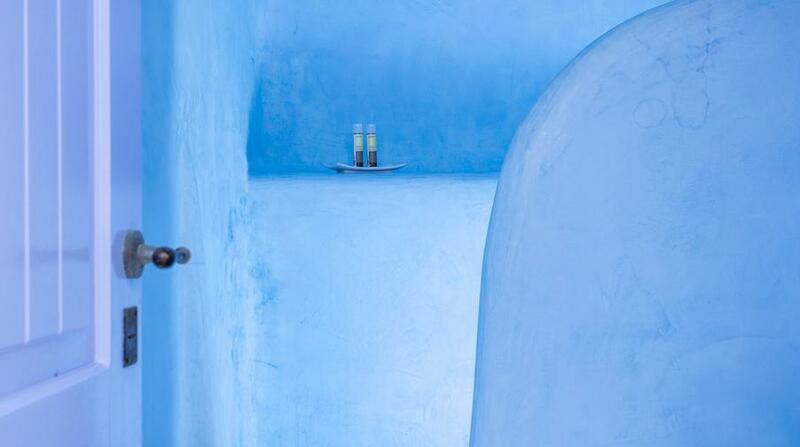 I can strongly recommend the villa to anyone who is considering a holiday in Santorini. We are a frequent family traveller with 3 kids and been to many great places. I read the reviews of the villas before book and later on worried that putting too much high expectations on it. But when we arrived we are so amazed everything describe in the reviews are all true and immediately love the place very much like it was our own home. 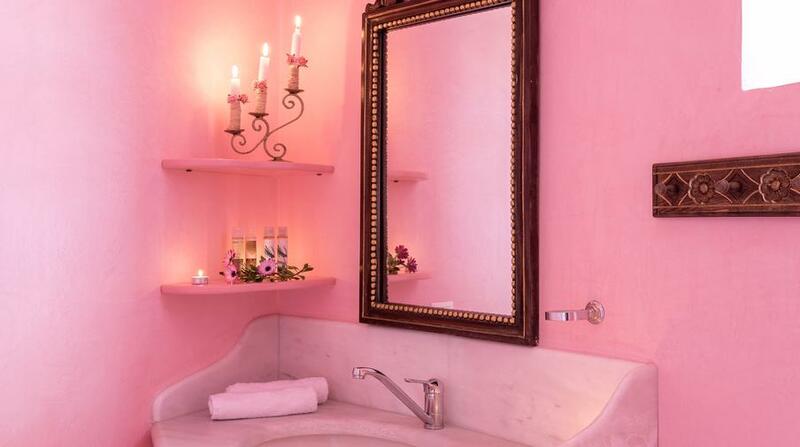 The room, beds, shower, kitchen, pool, breakfast are all excellent with great detail. The owner very good host and informative. 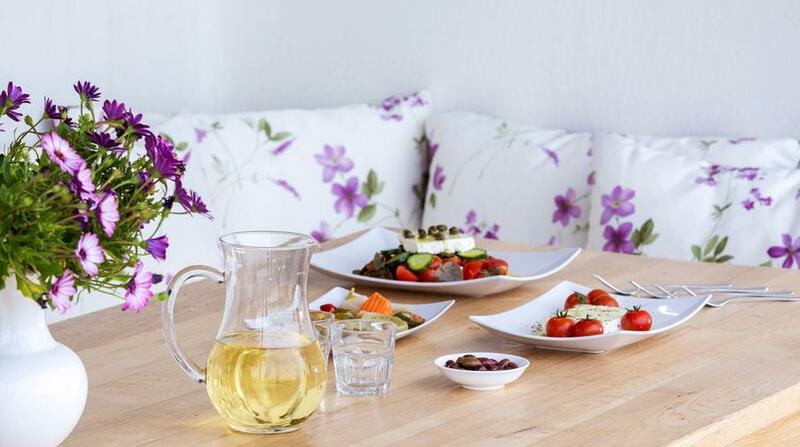 It is not in the center of the crowded Oia or Fira, but makes our holiday very relaxing. We rent car to go around and immediately can cover all great beach and resto in Santorini thanks to him. 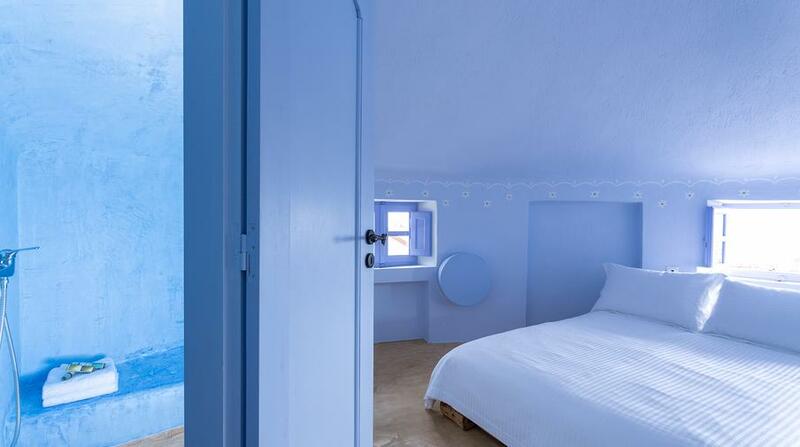 The villa also private and the view was beautiful looking over the sea with great sunrise view. Too bad we have to leave to Athens. My kids keep voting ( we vote for holiday places) to go back to their other home the windmill villa for our next holiday trip and we will!! 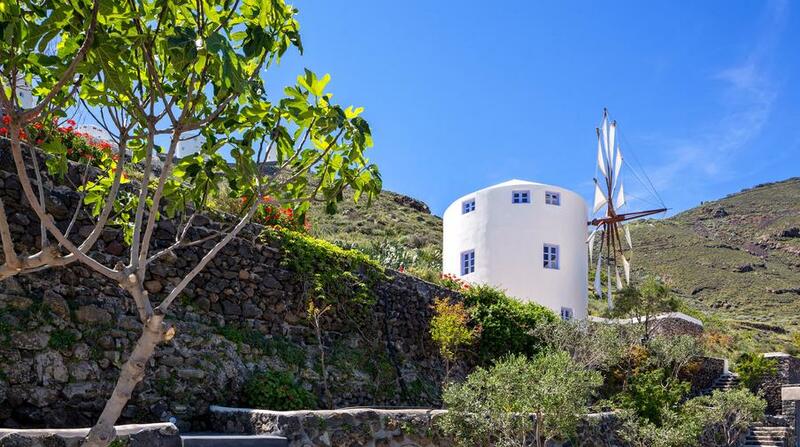 The windmill is a really charming little place in a very quiet area of Santorini. 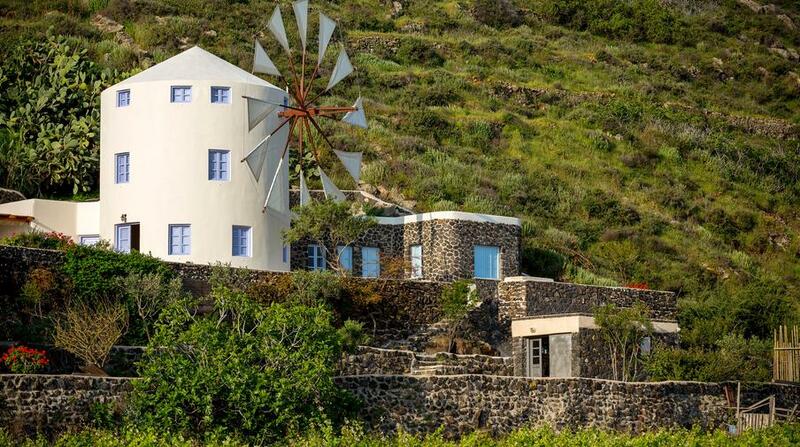 The interior of the windmill is very cutely decorated and every morning you wake up in fairy tale surroundings. The outside space with private pool and comfortable dining area was exactly what was needed to spend highly relaxing days with my wife and children (4, 11 and 13). 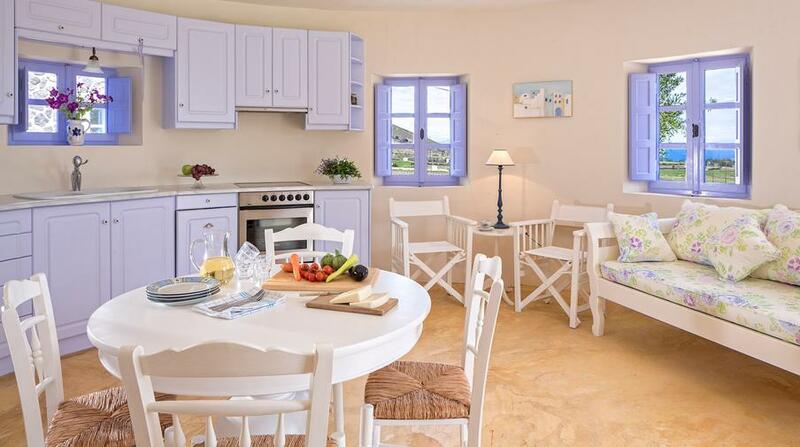 We had been spending 3 weeks in Greece in villas on different islands a week each but this was the place where most of the days, we just wanted to enjoy the calm and charm of the place and it was almost impossible to drag the family out of there. The owner's family is doing everything to let you have an exceptional stay and instantly respond to any queries about the island or any other items. 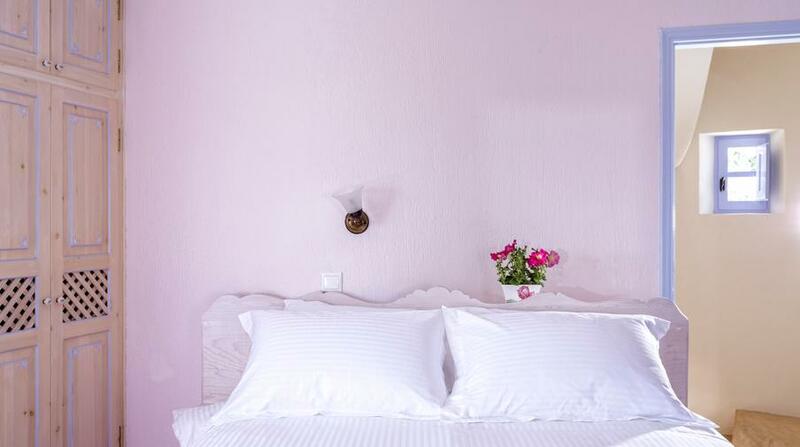 There is a very thorough cleaning service on a daily basis and a complementary breakfast is served every morning. A rare thing in Greece, wifi works perfectly both in the house and everywhere in the pool area. Kitchen is fully equipped and you have full audio and TV system with DVD, satellite TV. Basically everything is catered for with great attention to detail. You need to make sure you have a car when you visit this place as any of the nicer beaches and the main towns are at least a 5 minute drive away. Definitely recommend to any family with younger children.